B. Thomas (Arlington, Texas, United States) on 24 July 2018 in People & Portrait. A friend acting crazy in front of a funny sign. Owned by the funny family. So good. The framing is funny too !!! I'm sure it awaits us all . .
A great fun shot. Your friend seem's to be enjoying it all. Happy ST. Superb photo !Looking at the sign I am afraid there is some skulls of animals ...! Happy ST ! A cute find for ST!! 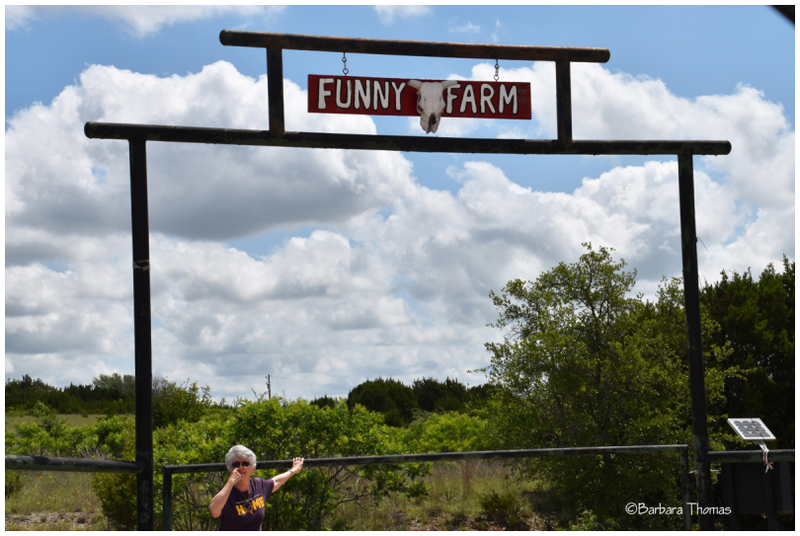 Comical name for a farm, great image for today esp.